PC Purifier is the PUP that uses misleading techniques to prevent removal. Use Reimage to locate malicious components and get rid of them faster than with uninstall instructions. A full system scan blocks virus reappearance and prevents traffic to malicious domains. Is PC Purifier safe to keep on your PC? How did this program appear on your computer without your knowledge? What is the best way to remove PC Purifier? PC Purifier virus earns such a labeling not because it is a destructive and malicious program. The users who find it installed on their computer usually have no idea where it came from and thus, presume it can be malicious. In a sense they are right. This program is not designed to benefit the users but rather help the developers to benefit from them. Where the users are wrong, though, is that this program somehow managed to enter their computers without permission. Surprising as it sounds, the users allowed PC Purifier on their devices themselves. Not overtly, of course. More about this deceptive system infiltration strategy will be discussed in the following section. As for now, we should focus our attention on the program’s characteristics which make it unreliable and worthy of elimination from the system. If you are unhappy with the program and its services, please do not brush the PC Purifier removal away and let the program roam your PC unmonitored. Besides, the fact this program managed to enter your computer undetected suggests that other potentially unwanted programs could have been deployed on your computer as well, so you must investigate your computer for malware. For this purpose, we recommend professional antivirus software, for instance Reimage. 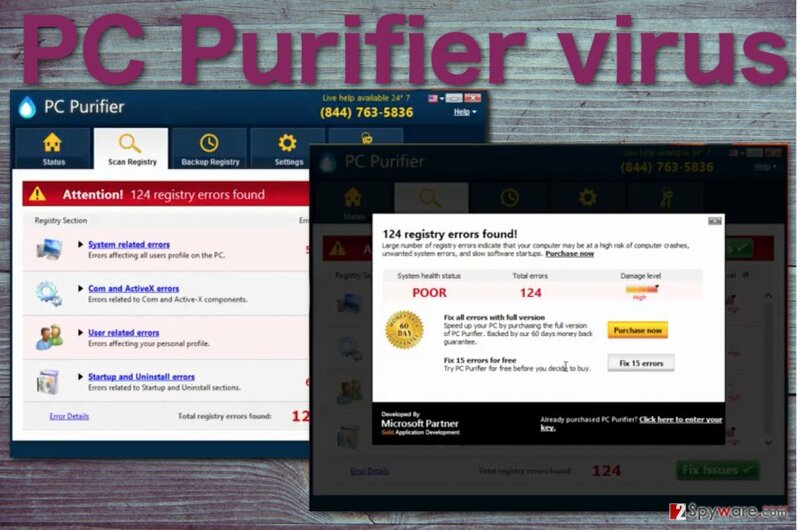 PC Purifier is an application which promises to scan Mac OS, Windows and Android devices in order to locate and repair user-related errors, clean up corrupt registry entries and junk files as well as fix startup and software removal issues. Unfortunately, it is not capable of performing any of these promised features. Instead, it simply fakes system scan results imitating serious system errors and urges the user to purchase the full version of the program to fix them. The notifications and warnings will keep popping up until the program is eliminated from the computer or the full version of it is purchased. We strongly recommend sticking to the first option. The users who have purchased the full version of the program claim that it is useless and continues to display fake system alerts even after the upgrade. 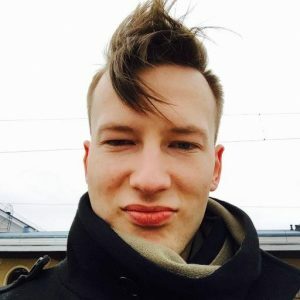 Besides, they also relate the slow system performance, increased online advertising to this program; therefore, it is best to remove PC Purifier from the computer without risking to diminish the quality of your browsing. As we have briefly mentioned in the previous paragraphs, the responsibility of PC Purifier installation falls largely on the users themselves. They allow the program to enter their computers by being neglective during the process of software download and installation. First of all, most users do not pay much attention to the reliability of the sources they are downloading their programs from. If a nice-looking program’s promotion page, like PC Purifier’s, is your search results it does not necessarily mean the content is safe to download. It may be malicious itself or infected with malware; thus it is important to be especially careful. Even regardless of the reliability of the download source, it is always recommended to check the obtained software with a reputable anti-virus utility and install it using proper installation modes. Since PC Purifier is not a virus, it is likely that antivirus programs will not locate it on your computer as a threat. Of course, you should not fall for the manual PC Purifier removal immediately. Before that, make sure that your antivirus utility is running the latest version and scan your computer again. If the program is still on your computer, then follow the steps below. Choose “PC Purifier” and select the “Uninstall/Change” option. After you are done with these steps, scan your computer again just to keep safe. Besides, the automatic scan is also useful if your computer is infected with some other malicious programs that you may not have noticed before. This entry was posted on 2016-11-08 at 05:21 and is filed under System tools, Viruses. You can quickly scan the QR code with your mobile device and have PC Purifier virus manual removal instructions right in your pocket. How did you remove PC Purifier virus?